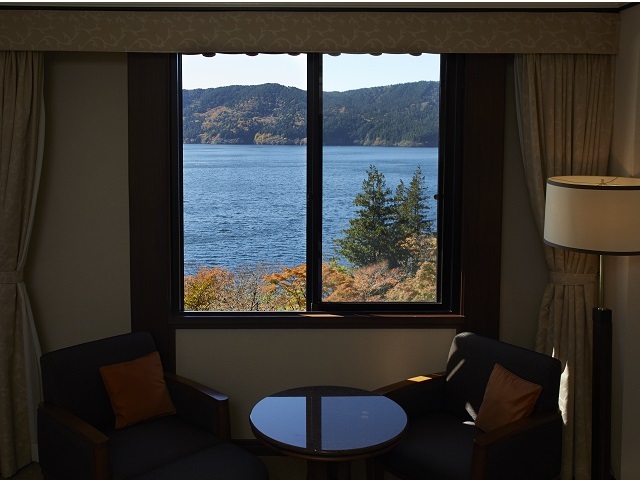 All rooms offer a wonderful view of Lake Ashi. Room fees for simply staying overnight without meals included. 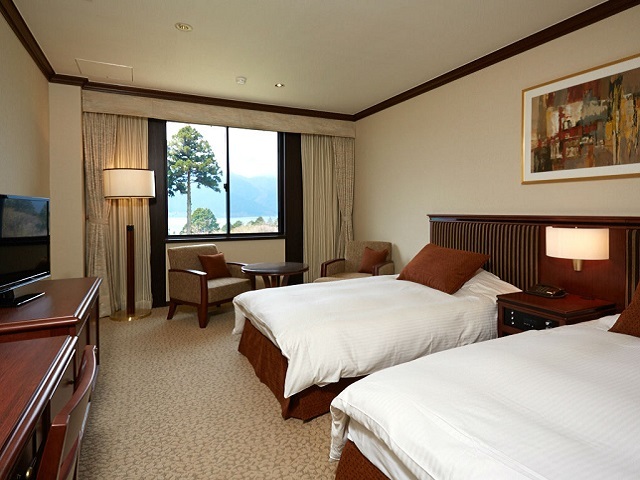 All rooms offer a wonderful view of Lake Ashi. Please relax and enjoy your stay. ■Standard Twin (30m2). All of our twin rooms offer a stunning view of the lake. ■Corner Deluxe Twin (45m2). A lake-view corner room that is also 1.5 times larger than the standard twin. Stretch out and enjoy more space. ■Corner Triple (45m2). Perfect for families or small groups, offering three semi-double beds. ■Mt. Fuji View Deluxe Twin (49.5m2). 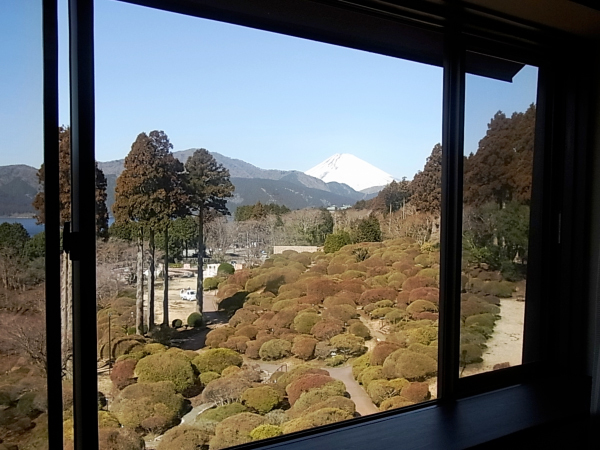 A room with a splendid view of both Mt. Fuji and Lake Ashi. ■Mt. Fuji View Combination Japanese-Western Room (80.5m2). Offers the best of both worlds, featuring an eight-mat tatami sitting room and a sleeping area with two beds. 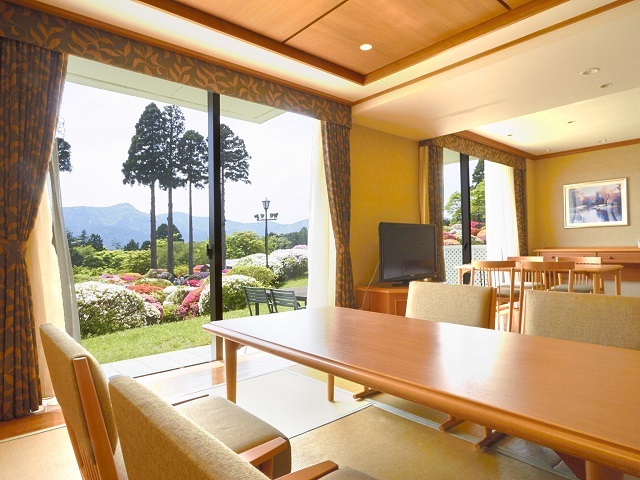 ■Premium Twin Room with Onsen View Bath (58.5m2). Enjoy a free-flowing hot spring while marveling at the scenery of Lake Ashi. 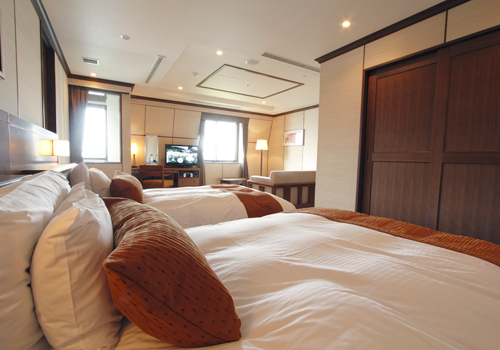 ■Premium Quad Room with Onsen View Bath, available for up to four guests (67m2). Enjoy a free-flowing hot spring while marveling at the scenery of Lake Ashi together with your family or friends. ■Combination Japanese-Western Room with Free-Flowing Hot Spring Bath, available for up to four guests (62.5m2). You can also eat your meal inside your room. Especially suited for use by guests in wheelchairs. Note: If you wish to have dinner, please reserve restaurant seats in advance. Dinner times are from 5:30 PM to 8:30 PM (last order).